What’s My Charlotte Home Worth? Just steps from dining, shopping and the parks on Providence Road and only minutes from Uptown! Beautifully renovated with a modern kitchen complete with stainless steel appliances and a built-in breakfast nook, charming window seats throughout, wonderfully updated bathrooms, large deck and an incredible patio for entertaining. 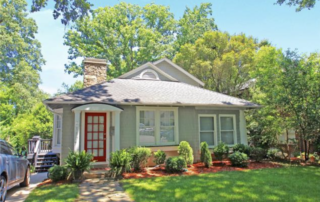 Don't miss this lovely Myers Park home for sale! Just Listed! Completely Renovated Midwood Bungalow with 2 Car Garage! Just Listed on One of Midwood’s Most Sought-After Streets!